We provide cognitive hypnotherapy in London for a wide range of everyday problems. 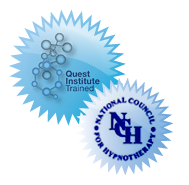 Cognitive hypnotherapy is the modern approach to hypnosis for therapy developed to cater for all. Now, hypnotherapy is effective for everyone! We offer safe, proficient and affordable hypnotherapy tailored to your needs. Lack of self confidence holding you back personally or professionally? Want to lose weight? Eat more healthily? Exercise more? Do you have a phobia you want to be free of forever?